In the fall of 2006, years after my parents had died, I returned to China for the first time since my arrival in 1955 with my mother to join my father at his hand laundry in Allandale. What started out as a family reunion spiralled into a series of unanticipated discoveries. I ended up returning for a second time the following fall. What I learned from those visits changed everything I thought I knew about my parents. From my point of view they were typical, hard-working, albeit unhappy immigrants. My discoveries in China led me to a deeper understanding of my family and ultimately myself. 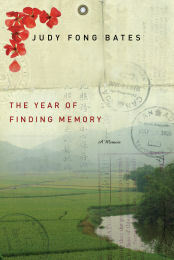 The result is my memoir, The Year of Finding Memory. An elegant and surprising book about a Chinese family's difficult arrival in Canada, and a daughter's search to understand remarkable and terrible truths about her parents' past lives. Growing up in her father's hand laundry in small town Ontario, Judy Fong Bates listened to stories of her parents' past lives in China, a place far removed from their every-day life of poverty and misery. But in spite of the allure of these stories, Fong Bates longed to be a Canadian girl. Fifty years later she finally followed her curiosity back to her ancestral home in China for a reunion that spiralled into a series of unanticipated discoveries. Opening with a shock as moving as the one that powers The Glass Castle, The Year of Finding Memory explores a particular, yet universal, world of family secrets, love, loss, courage and shame. This is a memoir of a daughter's emotional journey, and her painful acceptance of conflicting truths. 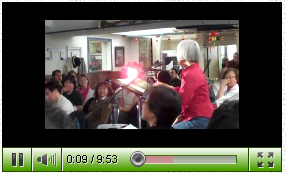 In telling the story of her parents, Fong Bates is telling the story of how she came to know them, of finding memory. Not long after my father hanged himself in the summer of 1972, I found a small cardboard box tucked far beneath his bed. I kneeled on the floor and reached with a broom handle, pulling the box toward me. I wiped away a thick layer of dust and as I lifted the lid a stagnant smell of old ink and stale papers, of things sealed off for a long time from anything living, wafted up and caught in the back of my throat. Piled inside were several old documents along with letters from China, on aerograms and onion skin paper, folded and stored in airmail envelopes. I took out one of the letters and opened it, felt the thin translucent paper between my fingers, and stared at those columns of beautiful Chinese characters penned in black ink, a script that I was unable to read. What was in those letters? I wanted to know. I suddenly felt angry. In the months after my father’s death, it seemed that whatever equanimity I was able to achieve could shatter in an instant. Without warning I would be seething with rage, then overcome with grief. But why was I angry now? With myself, for never learning how to read and write Chinese? For having parents who seemed so unknowable? At my father and what he had done to himself, what he had done to us? I took a deep breath and lifted more letters out of the box. Underneath, I found my father’s blue cloth-bound Chinese passport. I found his 1949 immunization certificates for smallpox and cholera and the stub of his airline ticket from the China National Aviation Corporation departing Hong Kong on August 22, 1949, for Gam Sun, the Gold Mountain, a place he had thought he had left behind. Toward the bottom, on top of some Kuomintang government bonds printed on expensive paper, was his Canadian citizenship certificate, dated July 25, 1950. On the back it stated that Fong Wah Yent was fifty-seven years old, a laundryman, five-feet, two-inches in height, eyes brown, hair black, complexion dark and colour yellow. I loosened a faded brown envelope from underneath the thick pile of worthless bonds. I opened it, and found a green certificate with the words Dominion of Canada arranged in an arc of emphatic black type across the top. An ornate geometric pattern formed a border around the certificate’s edge. The paper felt thick and smooth. All these things declared the importance of this document. In the lower right hand corner I saw a photograph of a man, a small black and white head-shot, similar to those in passports; except this one was on a certificate issued by the Canadian government, dated April 7, 1914 that had cost its holder five hundred dollars,. The man was young, twenty-one years old, a year younger than I was as I sat looking at his image. His hair was parted at the side and neatly combed; his cheekbones were sharp and his ears stuck out. He wore a dark, loose-fitting Chinese jacket with a stand-up collar. He looked back at me with an expression that was impossible to read, perhaps because the task before him was so overwhelming that he was unable to communicate an emotion. The man in the photograph was my father and the piece of paper was his Head Tax certificate. How did this youth become the old man my mother found hanging from a rope in the basement of their house, the man whose death had struck us like a sudden explosion of glass?